Before Ethan arrived, Mr T and I loved to go out for meals. We were young professionals with a disposable income with plenty of free time on our hands. Often we would go for a cheeky midweek curry taking advantage of our favourite Curry House’s earlybird offer then on a weekend we tended to go for breakfast and sometimes order a takeaway on a Friday or Saturday evening. Nowadays we find eating out isn’t as easy especially with a baby who wants to be on the move all the time so when Ethan goes to bed it’s nice to have a break from cooking and order in something, especially on a Saturday night. 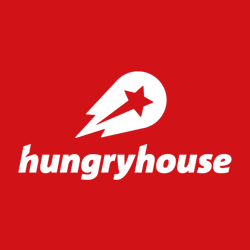 Gone are the days when we phoned for food, now we often log on to the Hungry House app to order a takeaway. Honestly since these kind of websites (and now apps) came along ordering food has never been so easy. There is no argument over who’s turn it is to drive to the cash machine and pick up dinner, we just open the app or log on to the laptop and within the hour a hot meal has arrived. Reviews are important to us too. We never buy a product without reading reviews and are the same with ordering food. I hate it when you have spent £20 on a takeaway to find you would have been better making beans on toast. I’m more of a pizza fan while Mr T prefers a curry so we do sometimes have a minor disagreement over what to order but he always has the ace card of “too much bread gives me belly ache” so we usually compromise with a Chinese. That’s one thing I love about ordering takeaway online as we can find something to tailor all our tastes without digging around the top drawer for a battered takeaway menu then realising we have no cash which then involves a drive to the nearest cash machine and by the time that’s all sorted you end up feeling like you should have just cooked to begin with. These apps have also proved invaluable when we have been away for the weekend and we decide to opt for a takeaway for tea. 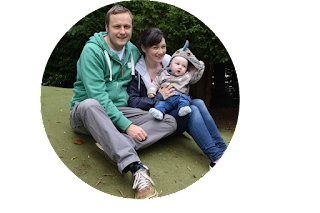 Whether visiting friends at the other end of the country or staying with my family back in Belfast, we can find the best place for the cuisine of our choice and know we will be happy with our food (and no dodgy tummies the following morning). Personally, I’m not a fan of takeaway curry but we found a gem of a place that I’m actually happy to order from. Mr T reckons it’s on another level to all the other Indian takeaways around here and that’s high praise from a Bradford boy! We move house in a few weeks and once we are settled we will be using the app to check out the local takeaways. Let’s hope we are still in the delivery area for our favourite places!